Home » What's New » April Special ! Eye of the World - Located at 2864 Willamette St, Ste 600, Eugene, Oregon, 97405. Phone: 541-689-2881. 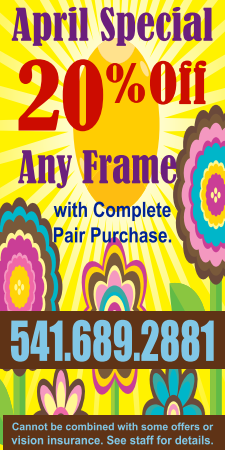 April Special: 20% Off Any Frame with Complete Pair Purchase ! !